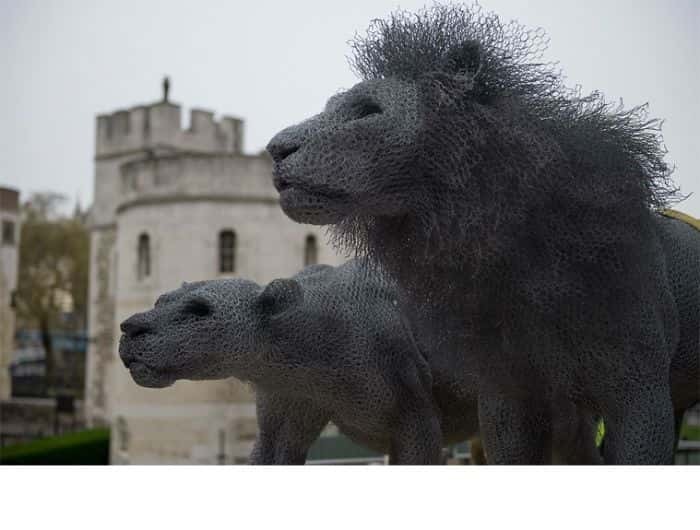 Sculpture is an ancient form of art that has featured in many historical cultures around the world. 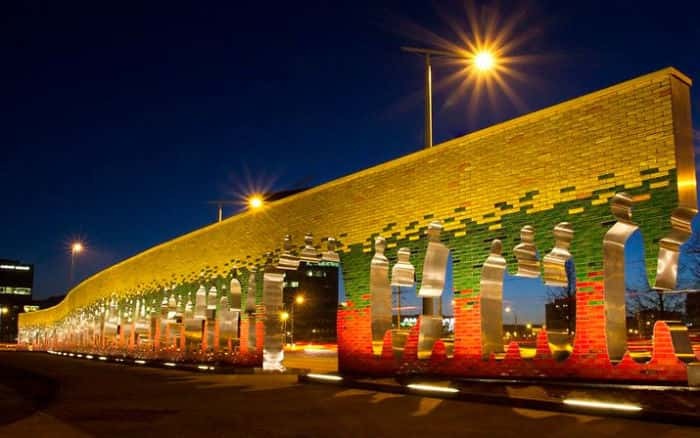 In modern times it is still a form of art that is produced and displayed in almost all cities. Humans have had a desire to express themselves artistically throughout the ages. 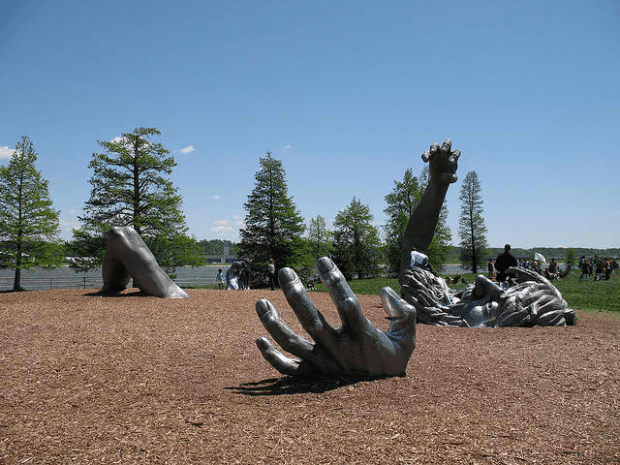 Here are 24 Fabulous Sculptures from all around the world that are amazing, creative examples of artistic expression. 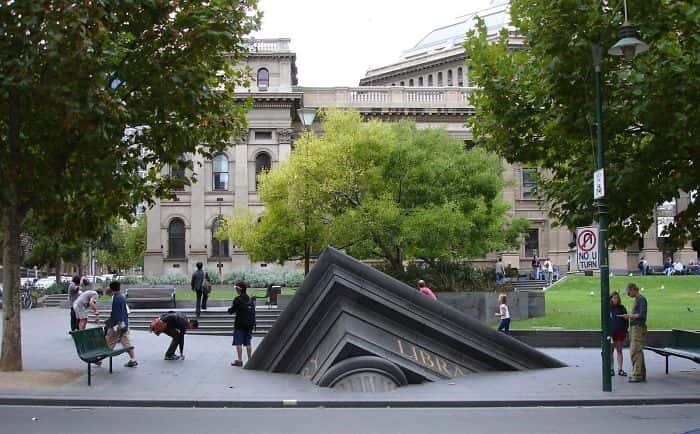 ^ Sinking Building, located in Melbourne, Australia. 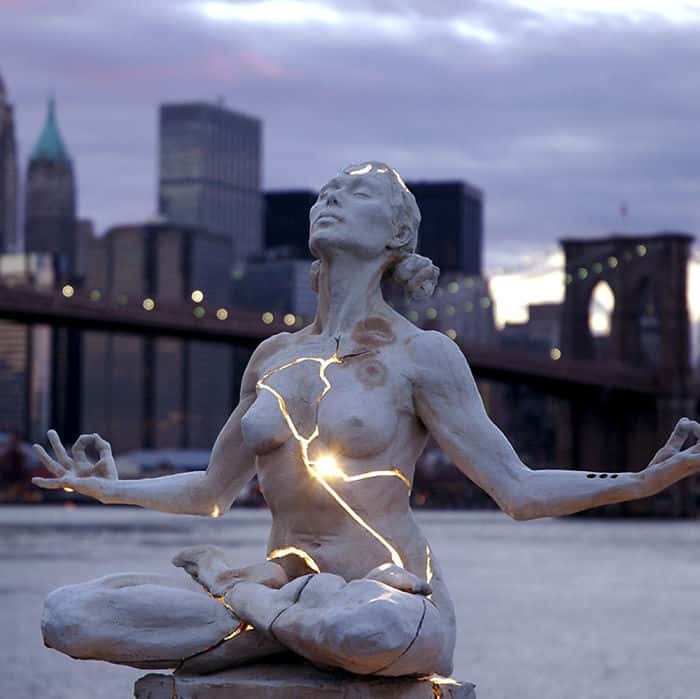 ^ Expansion by Paige Bradley ^ Running Horses By Robert Glen Irving. 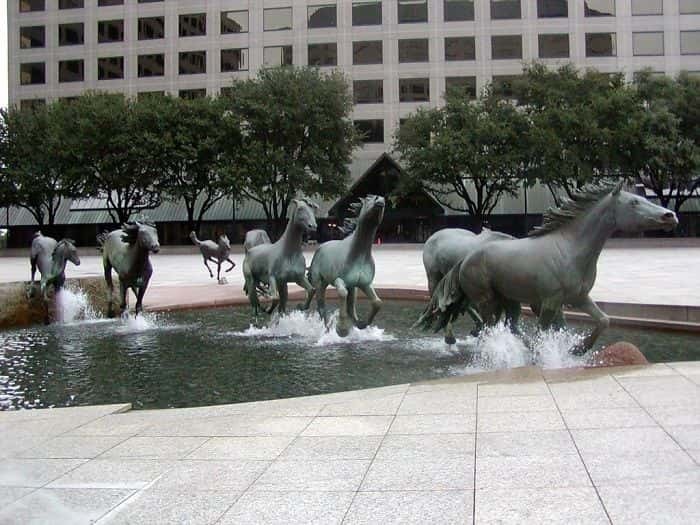 Located in Texas, USA. 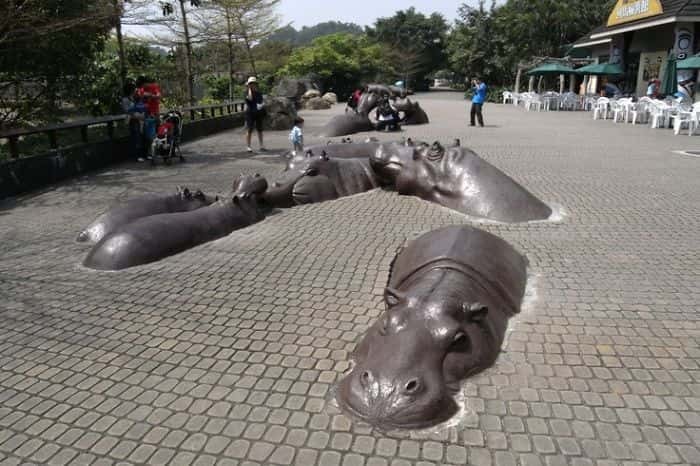 ^ Hippo Sculpture, located at Taipei Zoo. 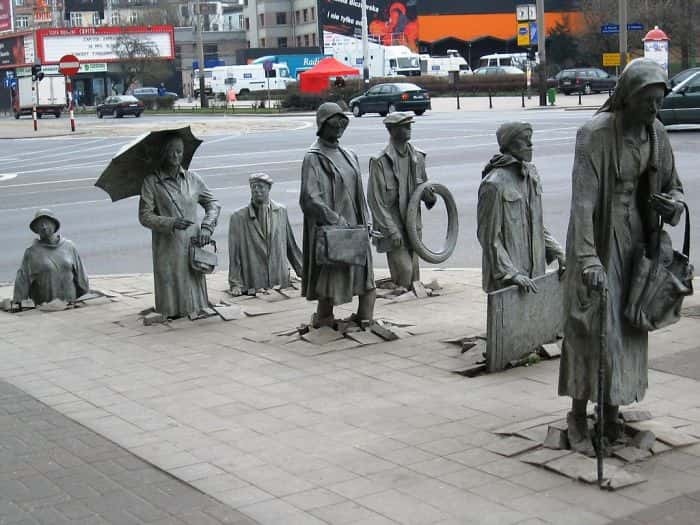 ^ Anonymous Passer-by, Wroclaw in Poland. 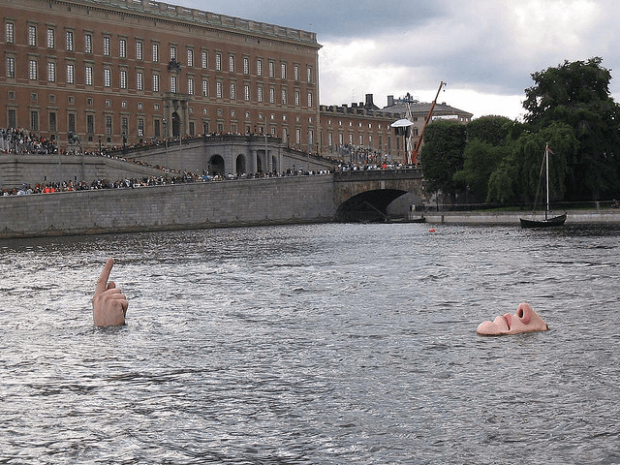 ^ Man in the Water located in Stockholm, Sweden. 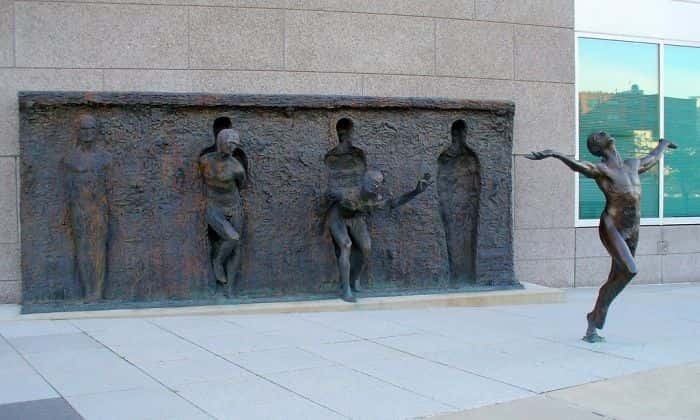 ^ Break Through From Your Mold By Zenos Frudakis. 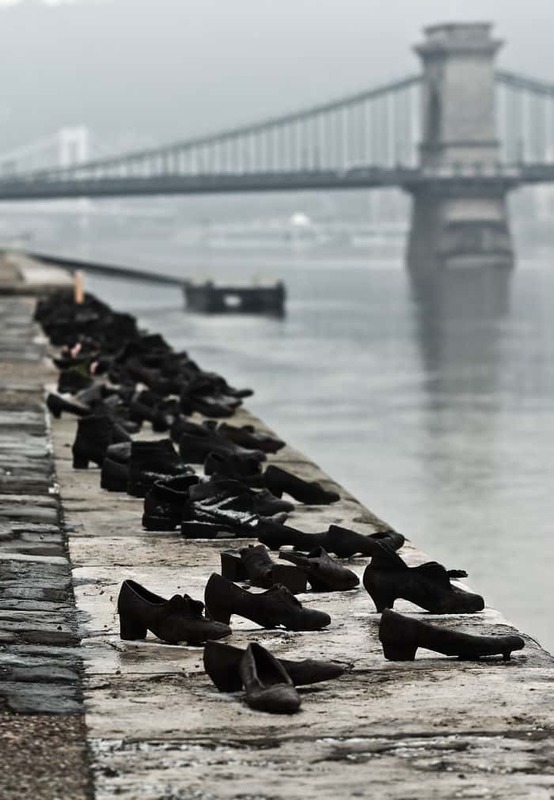 ^ The Shoes On The Danube Bank - Budapest, Hungary. 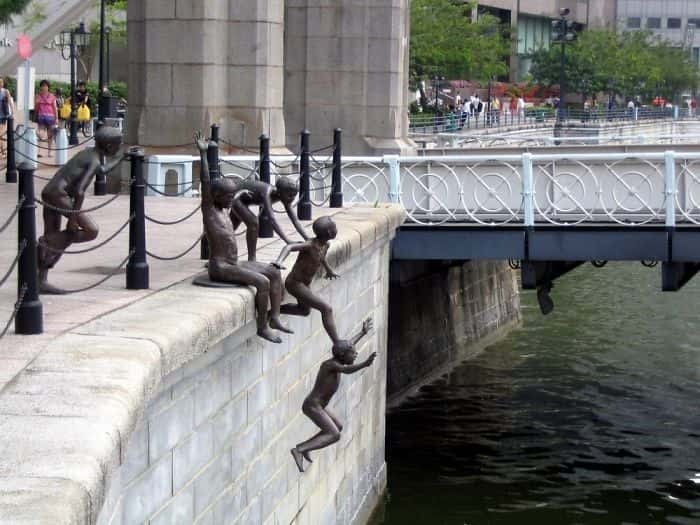 ^ People Of The River, located in Singapore. By Chong Fah Cheong. 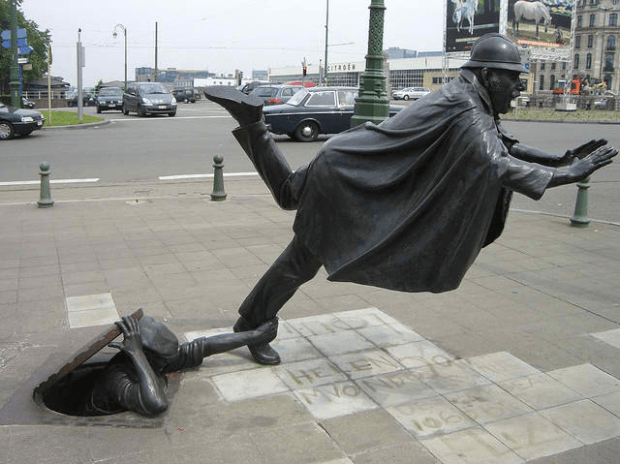 ^ De Vaartkapoen (Policeman Being Tripped) in Brussels, Belgium. 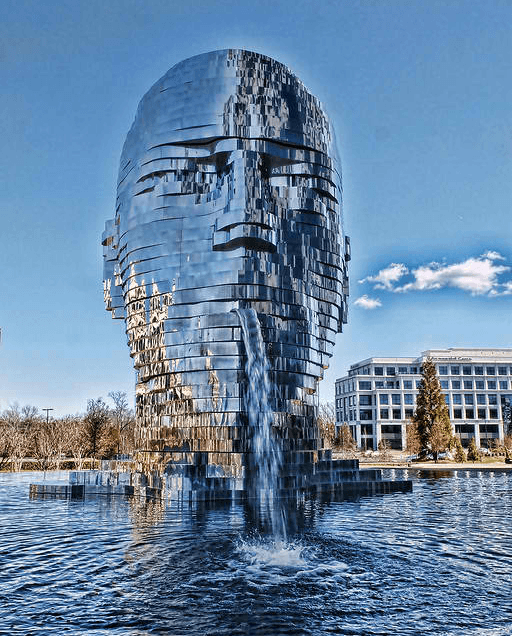 ^ The Awakening, located in Washington D.C. ^ Metalmorphosis, Charlotte, North Carolina. 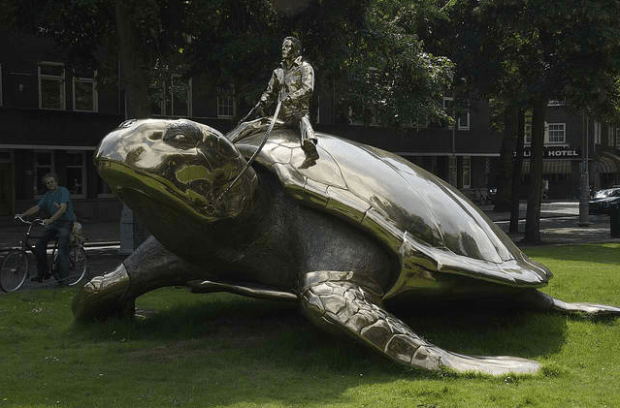 ^ Searching For Utopia in Amsterdam, Netherlands. 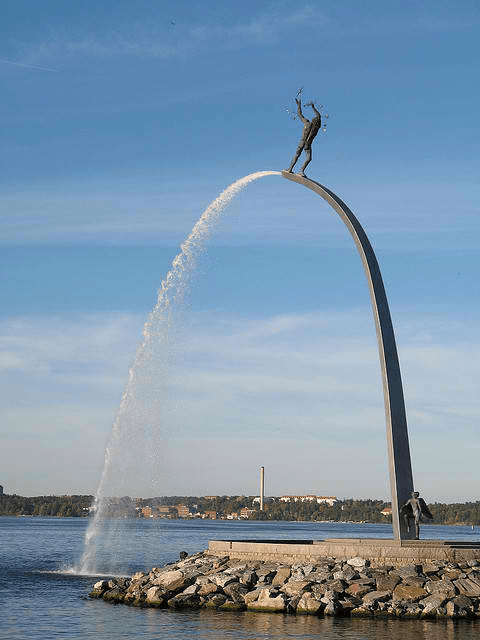 ^ God Father on the arch of Heaven, located in Stockholm, Sweden. 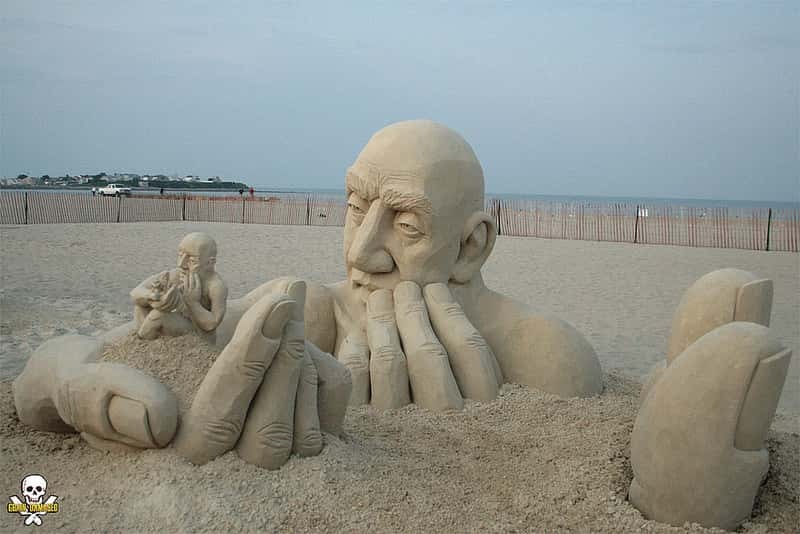 ^ Infinity by Carl Jara at Hampton Beach. 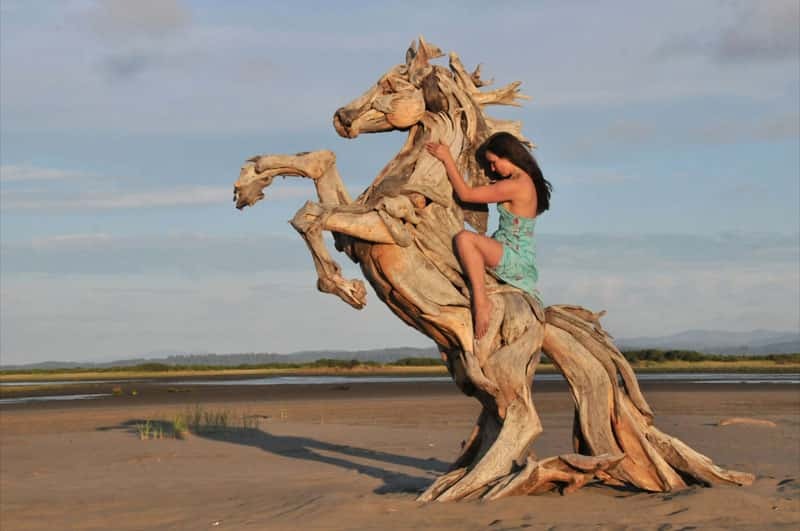 ^ Sea Horse by Jeffro Uitto. 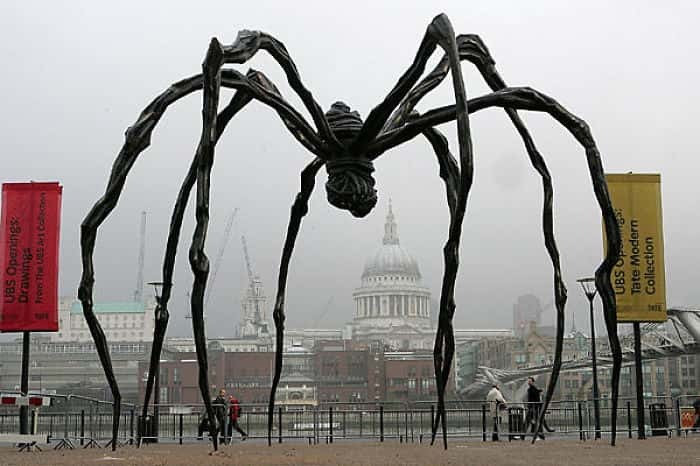 ^ Spider, Tate Modern London. ^ The Road Of Freedom. Vilnius in Lithuania. 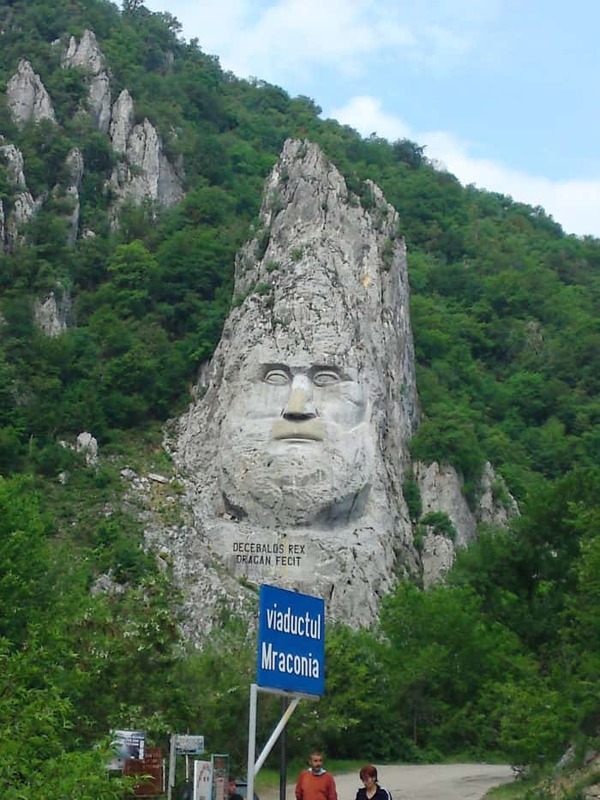 ^ Rock sculpture in Romania. ^ Los Emigrantes. El Hambre ^ Man Hanging Out. 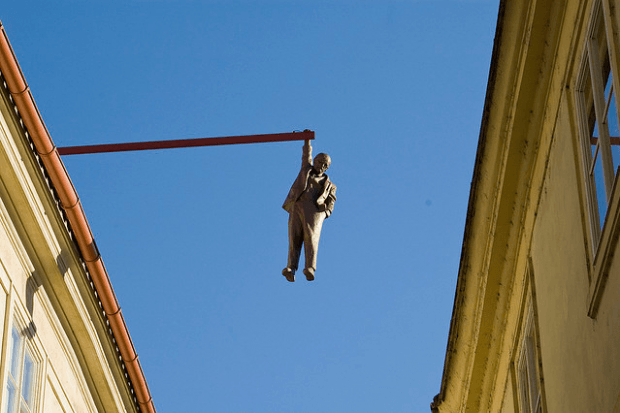 Located in Prague, Czech Republic. 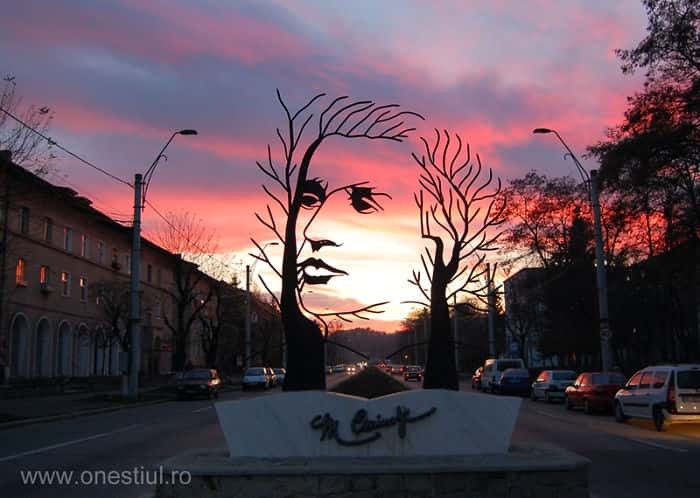 ^ Mihai Eminescu – Onesti, Romania. 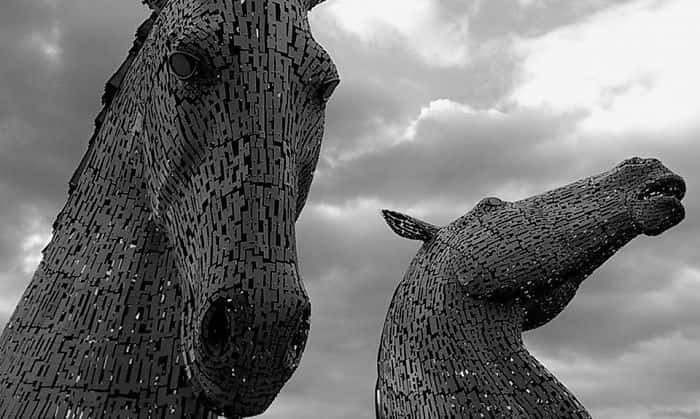 ^ Falkirk, Scotland. 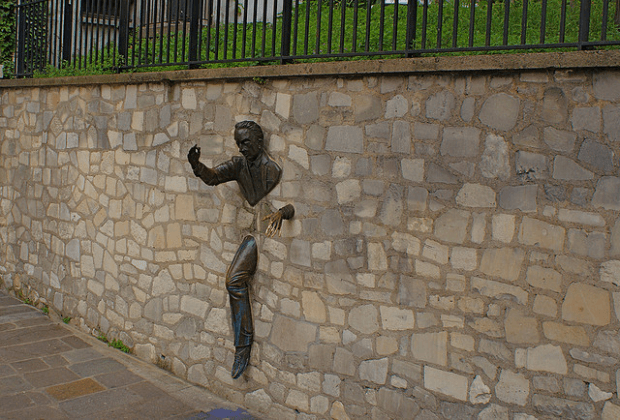 ^ Man in the Wall, located in Paris, France.